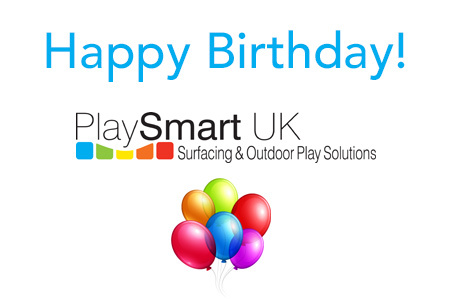 This month PlaySmart are proud to have been installing our high quality safety surfacing for 13 years! “We are always happy to celebrate another year of working to provide the best quality products and premium customer service that we have become well known for nationally. Our two priorities are always safety and client satisfaction and with each year that passes, we gain further experience and knowledge though the ongoing training we offer to our installation teams in house. We believe that the right surface can not only offer safety benefits, but can make the most of well-designed equipment and truly complete a space. PlaySmart are thrilled to see more and more companies considering surfacing at design stages for these reasons. If you’d like advice on anything to do with surfacing, please feel free to get in touch! 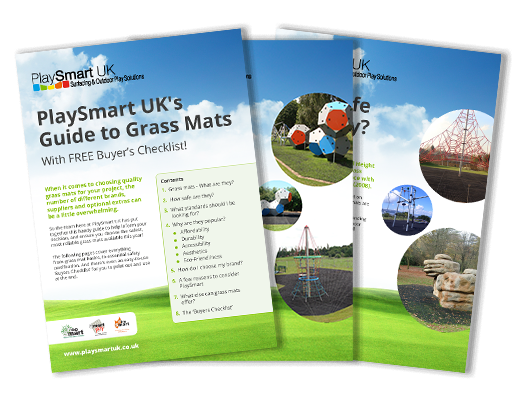 You can reach our experienced team directly on 01564 742 811, request a call back or download our guide to Grass Mats below.